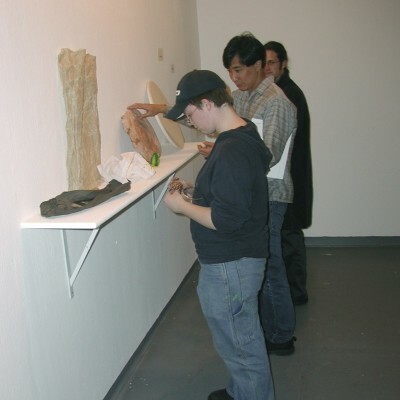 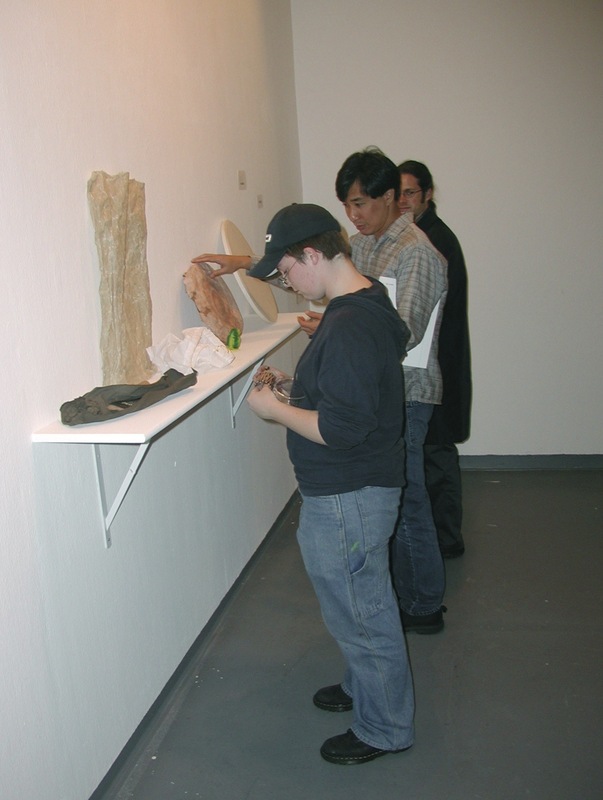 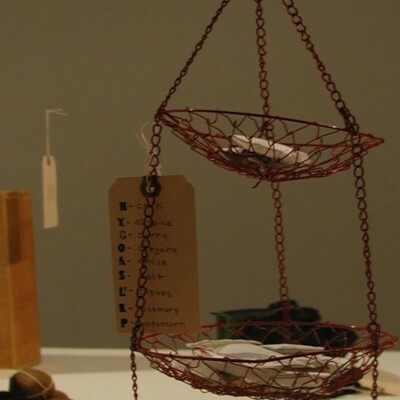 Knowles’ residency at San Francisco Art Institute included an exhibition her work, performances, and a residency/workshop with students, all focused on the found objects and discovering the hidden delights of the ordinary. 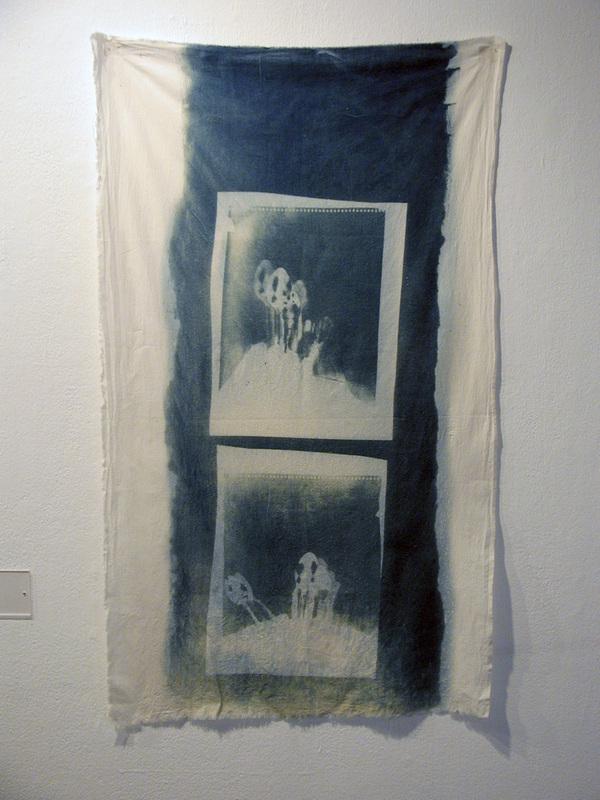 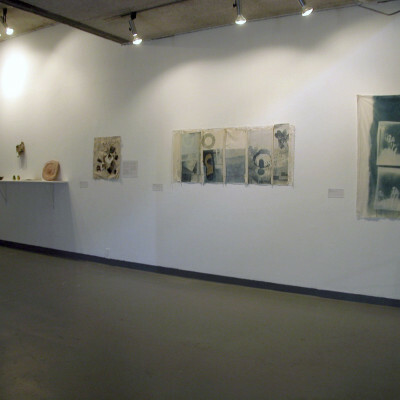 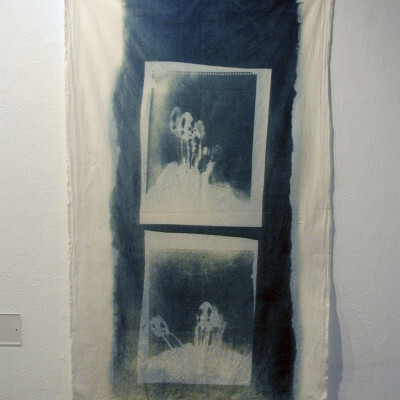 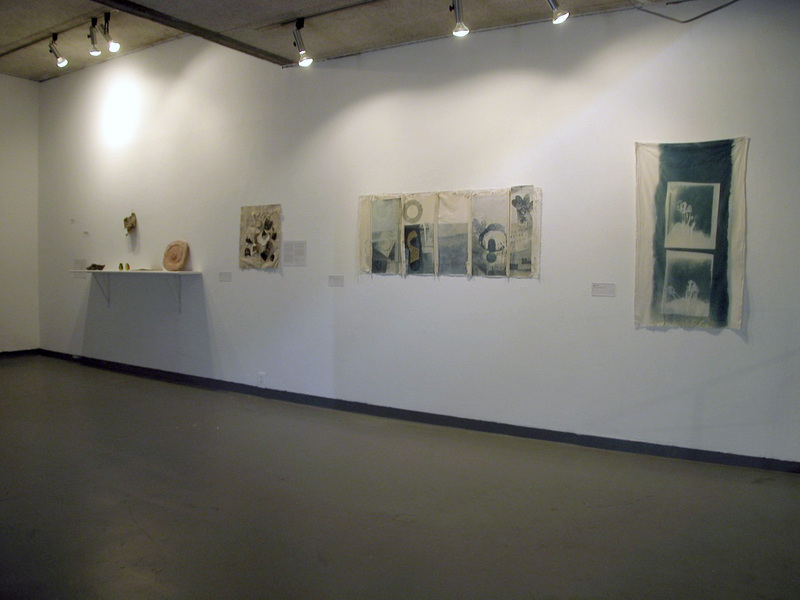 The exhibition included a wall installed with her cyano-type prints on fabric and shelves with small interactive sound sculptures. 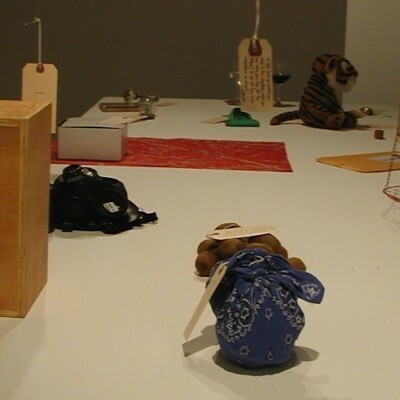 In the workshop Knowles and her students made an installation on a long table filled with everyday objects ranging from a stuffed animal to a basket filled with spices and tea. 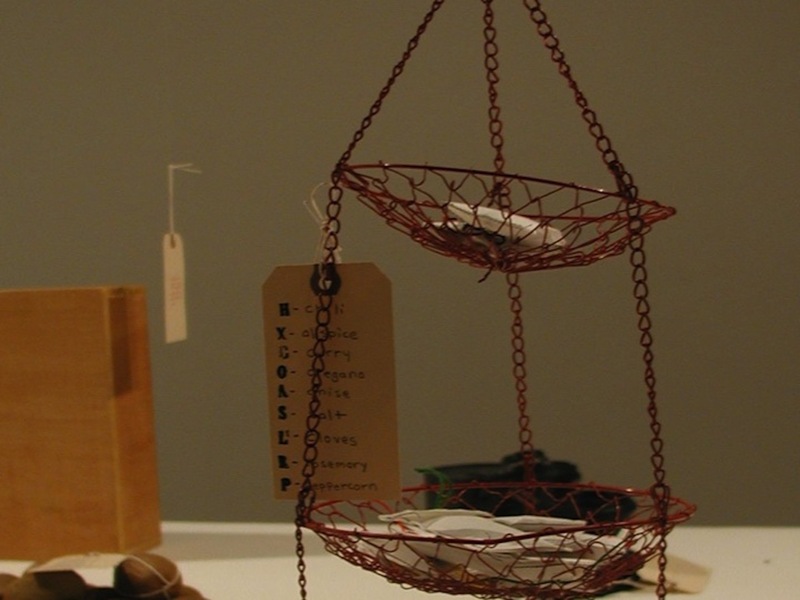 Everyone contributed something that was meaningful to them, and wrote why on a small tag attached to the item. 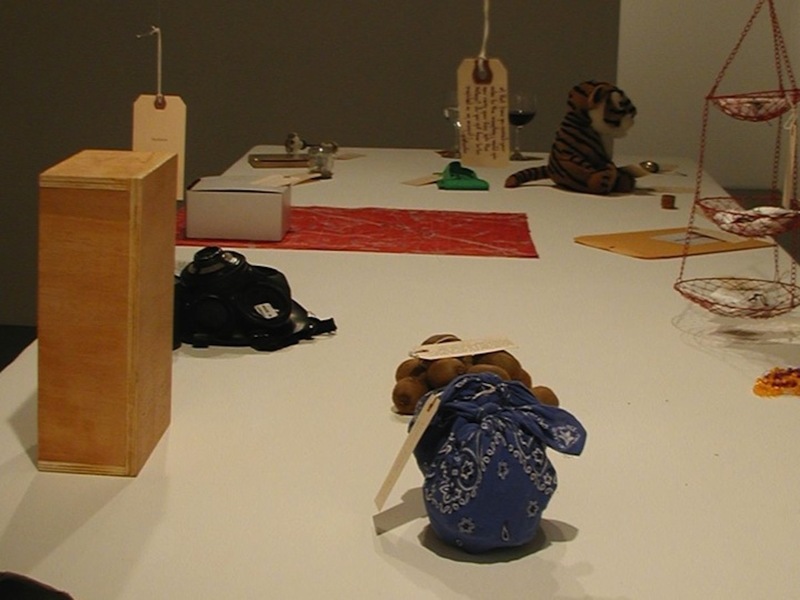 Each object was left on the table for the public to peruse and they could take it with them only if it was replaced with their own cherished object with a tag, harking back to Knowles early “gift” events from the 1970s. 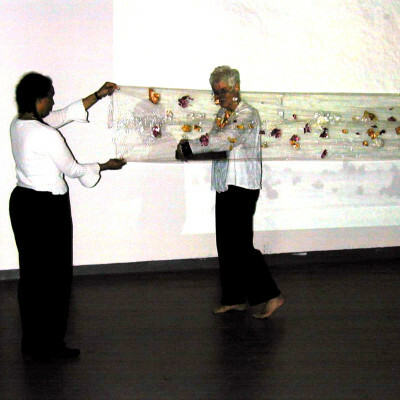 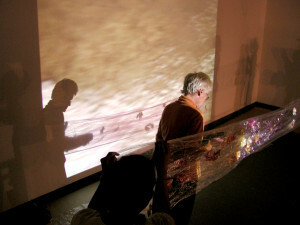 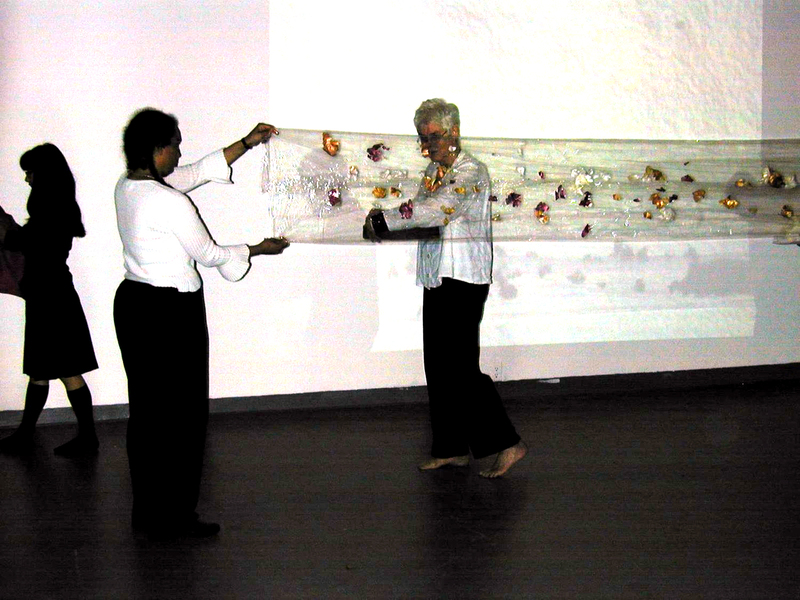 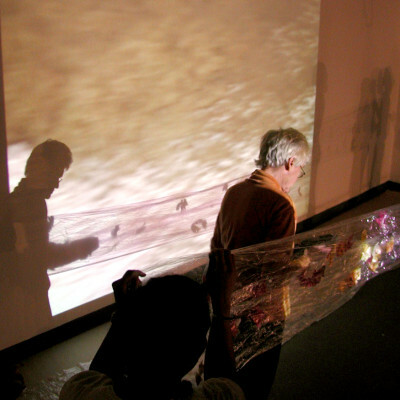 For the opening, Knowles worked with students to produce a score made from onion skin and plastic wrap that was then performed live. 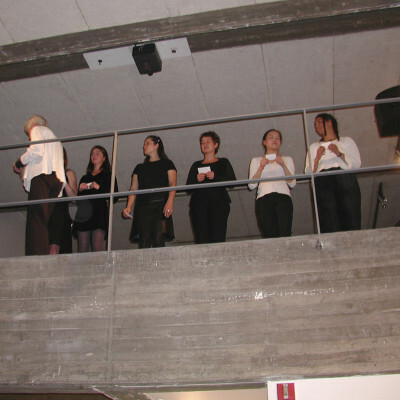 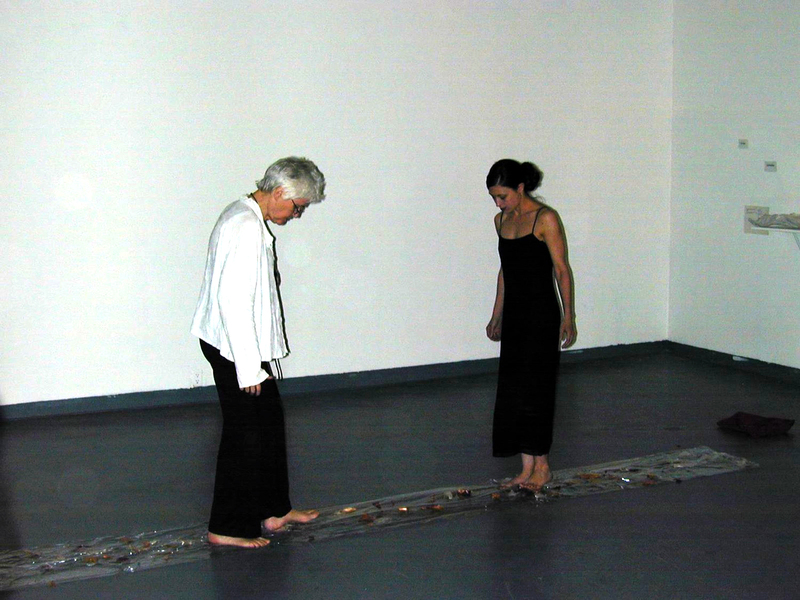 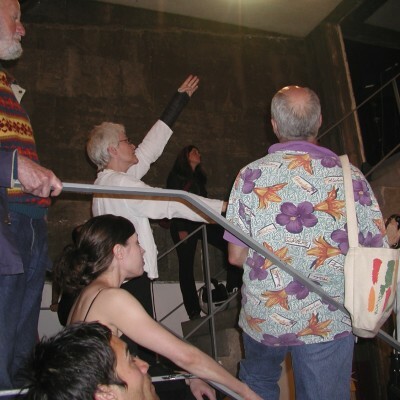 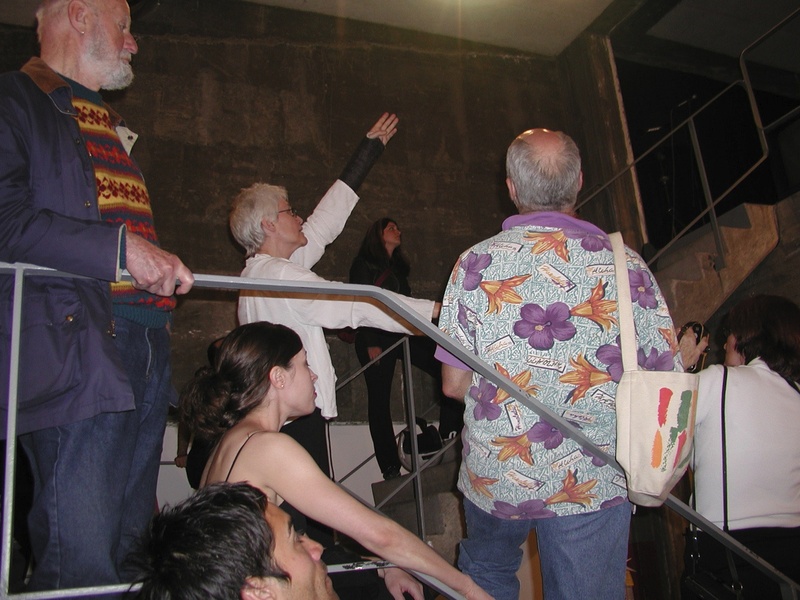 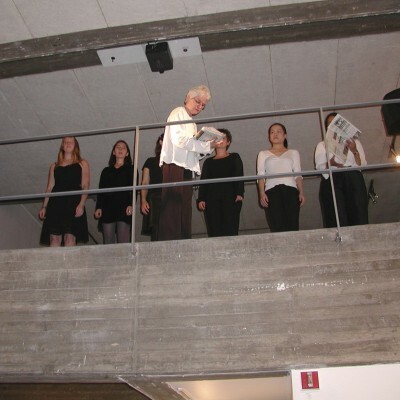 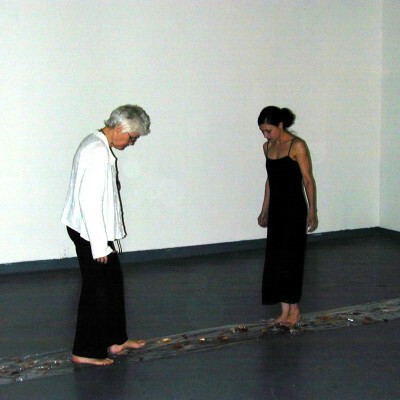 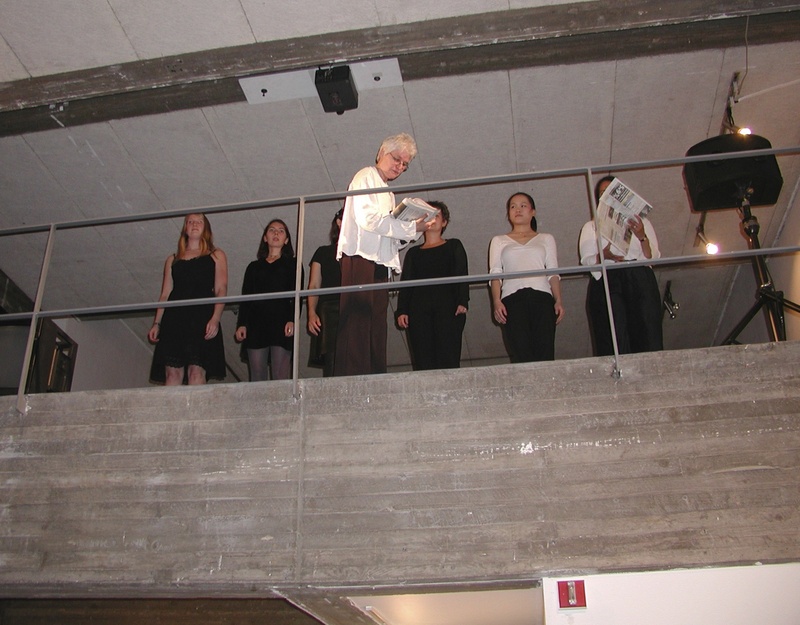 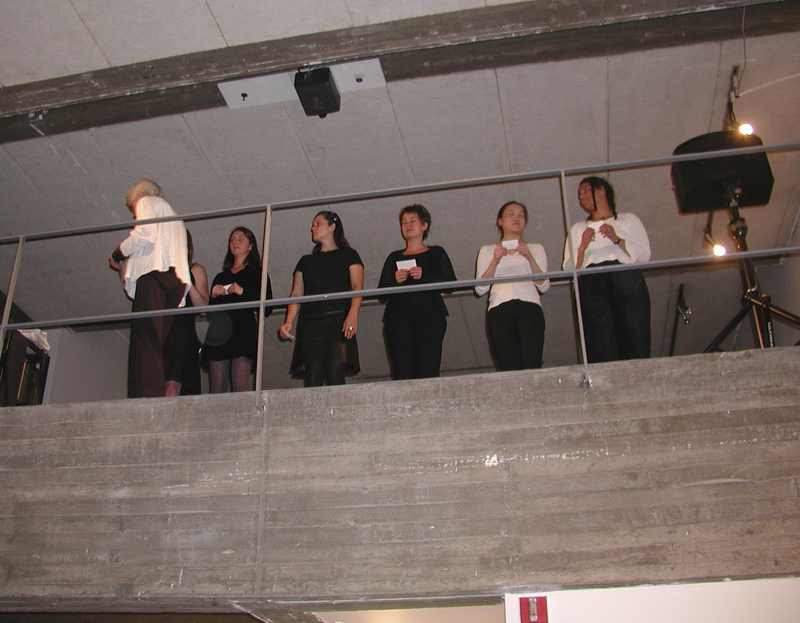 She also conducted a few short Fluxus performances including Newspaper Event in which six performers simultaneously read headlines in six different languages. 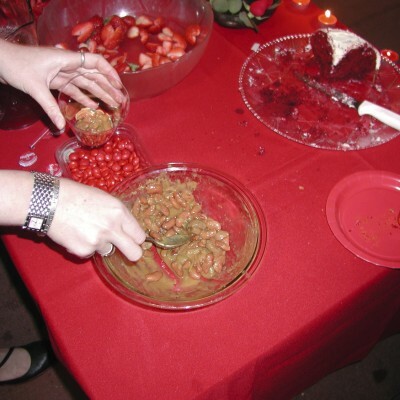 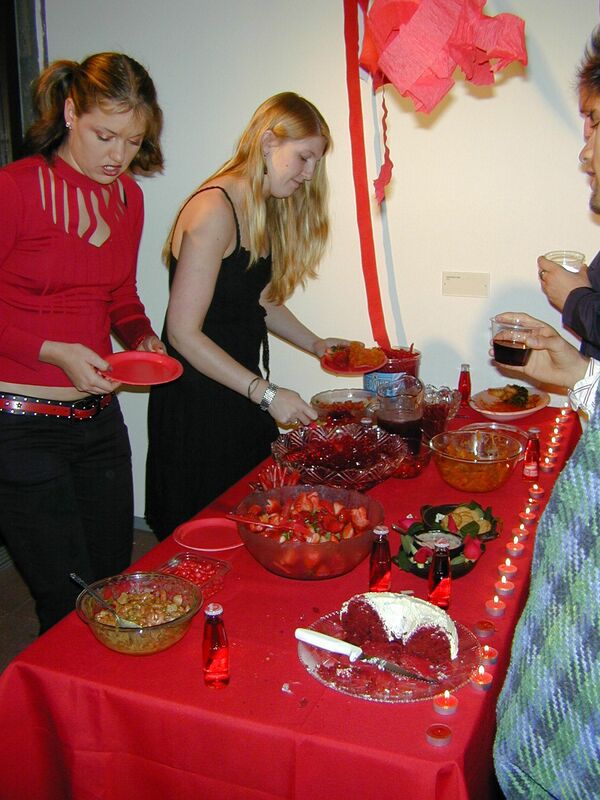 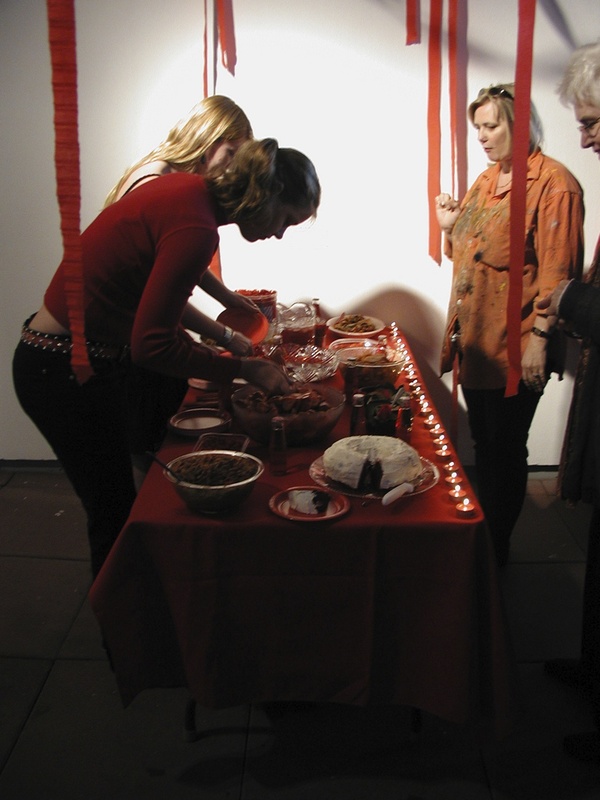 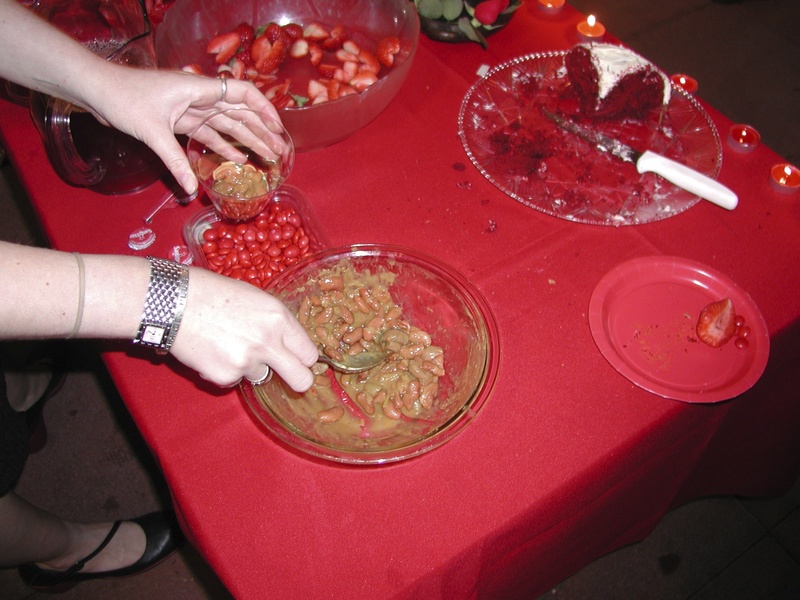 The residency culiminated in Celebration Red, a meal of entirely red foods and beverages in the tradition of the Fluxus mono-themed banquets.